Wow!, a photo by jankor on Flickr. 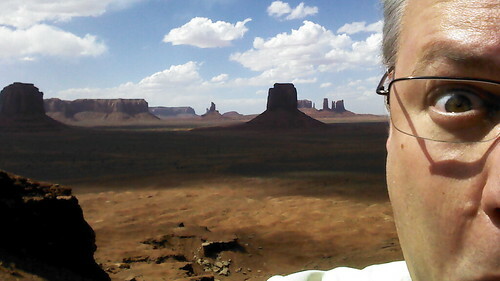 Self portrait in Monument Valley. Are You in Need of an Island or a Lighthouse? Are you in dire need to get out? Is Manhattan just suffocating you? Get your own lighthouse, or better yet, your own island! And here is how: Govsales.gov sells everything off what the Federal Government considers surplus: planes, trucks, islands, laundry machines. Make sure to check out the Lighthouse section. 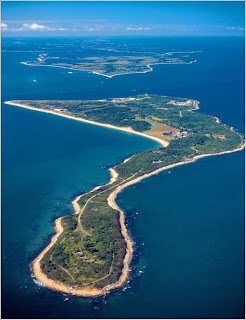 At the time of this article there are on the market the Diamond Shoals Lighthouse, Cape Hatteras, NC, and the Little Gull Lighthouse in the Long Island Sound near Orient Point, NY. If a lighthouse is not enough, maybe you prefer a whole island? Also close to Orient Point, NY, is Plum Island, which is being auctioned off on the GSA Website: "Plum Island consists of approximately 840 acres of land with a 9.5 acre support facility located on Orient Point, NY. The sale of the island will include the island, support facility, as well as personal property and transportation assets including marine ferries and fire and life safety vehicles." Govsales.gov sells U.S. Government property. The Office of General Services in New York State sells property and real estate. Propertyroom auctions off stuff from police departments like the NYPD, but next to their municipal rides is an awful lot of fallen-off-the-truck kitsch involved. The NYC.gov website is a wonder in itself. Here you'll find auctions of NYC vehicles, just in case you are lookin' for some ole' Crown Vic or a police Harley - but also city surplus and real estate.